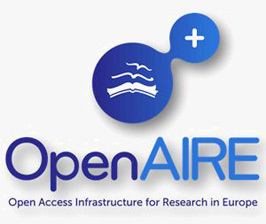 OPEN AIRE PLUS (2nd Generation of Open Access Infrastructure for Research in Europe): the continuation of OpenAIRE for the incorporation of research data sets linked to scientific papers from the Seventh Framework Programme. It is a 30-month project and has the infrastructure developed in OpenAIRE (interoperable institutional and thematic repository nodes). The project has a multidisciplinary nature due to the highly disparate nature of the data (different types of intellectual property, policies, levels of access, standards, etc.) and the different communities involved (each one with their different approach to the data). In the short term, OpenAIREplus will issue a series of basic directives for datasets.